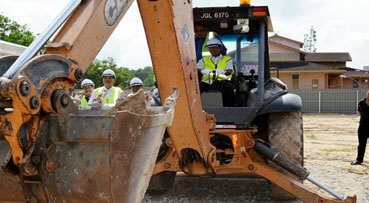 RM90.5 million has been allocated to build a new building at the Segamat Specialist Hospital. Health Minister Datuk Seri Dr S. Subramaniam said the construction of the building was to cater for the needs of the hospital which now offers 18 areas of specialty to members of the public. "Among the areas of specialty are general medicine, surgical, orthopaedic, paediatric, psychiatry, anaesthesiology, radiology, nephrology, neurology and respiratory," he said. Dr Subramaniam said the building would house five bays in the red zone, 12 (yellow zone), six rooms (green zone), four bays for asthmatic patients, 12 beds in observation room, the Emergency and Trauma Department, 18 beds (Intensive Care Unit) and 12 beds (High Dependency Unit or HDU).